Find specific resources by typing your search terms. You can also focus your search using Advanced Search features. Browse Resources is a more specialized search. Select conditions from the ALL and ANY filters. Choose an item by which to sort your results. As you make your selections, the report automatically updates itself. Click Reset Filter to remove all conditions and start over. Export CSV creates a database file of the resources returned by your search. These files can take some time to create; Populi emails you when your file is ready to download. Export MARC creates a MaRC file of the resources returned by your search. As with the CSV export, Populi sends you an email when your file is ready to download. Print Labels creates labels for your resources; this option only works for searches that return 500 or fewer results. Subjects are part of the metadata contained in your resources. Browse the subjects in your library by clicking one of the letters. Click a particular subject to see all the resources related to it. Type the subject name into which you wish to merge this subject. You can also delete subjects—this, too, cannot be undone! Batches are a task workflow that let you perform certain actions to a group of resources en masse. When you create a Batch, you can go back to it as often as you need to perform tasks or add additional resources to it. Give the batch a name. Most people like to name the batch after the resources or the task they're performing—Change Status to Lost or Reassign Reserved to Main Library, for example. While on the batch page, scan barcodes or type to search for resources to add to the batch. Change Status to Available, Not Owned, Lost, Damaged, or Not Available. Change home location to any location at any of your libraries. Export CSV/MARC: creates a database or MaRC file of the resources returned by your search. These files can take some time to create; Populi emails you when your file is ready to download. Run an inventory to find out what exactly is or isn't on your shelves and where exactly they are (or aren't). Give it a name—perhaps the library, location, and the time period the inventory will cover. 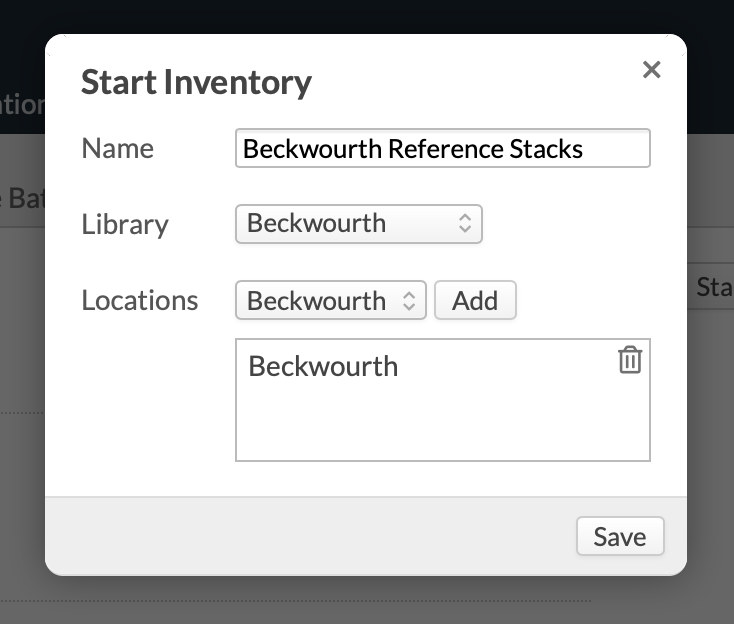 Select a library and any locations within that library to cover in the inventory. Inventories are limited to one, single library, but can encompass any of the locations in that library. Make sure the view is set to Entered Resources. Scan barcodes or type to add resources to the inventory list. As you enter resources, you might come across errors. Errors include Invalid status, Out of order, Invalid Home LIbrary, Invalid Location, and We couldn't find that resource. All but the last of these appear in the Inventory list in a red block. You can set the View to see Errors so you can deal with all of them in turn. Click Export to create a spreadsheet of the inventory. Read about adding new resources here. Is there a limit to the number of resources we can add to a library catalog? For example, could we keep 15,000 books in the Populi Library, and keep growing if need be?